The Match Chair is one of those pieces that's impossible not to love, with a cool, modern look that works virtually anywhere. This stylish modern chair features a fun shape with a hint of retro charm, and works great to enhance your living room while offering additional comfortable seating. 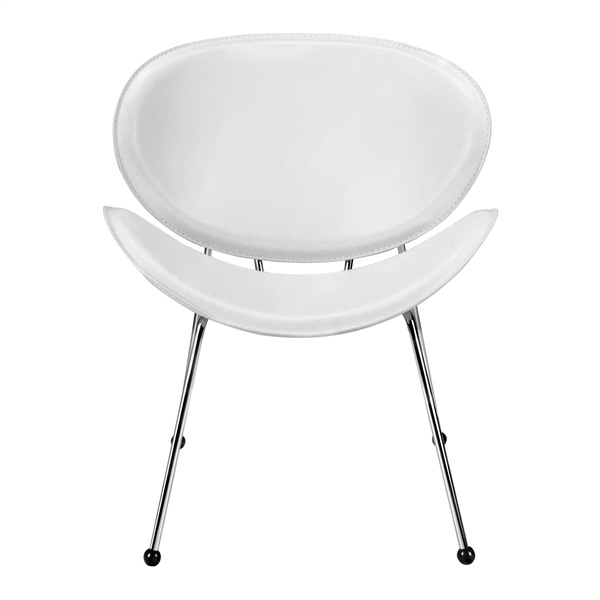 The Match Chair is made of a high quatliy vinyl that is easy to clean, and is complemented by a solid steel chrome tube frame. can it be used as a dining room chair? Yes, it can be used as a dining chair. Please note that it does have a lower seat height than standard dining room chairs.